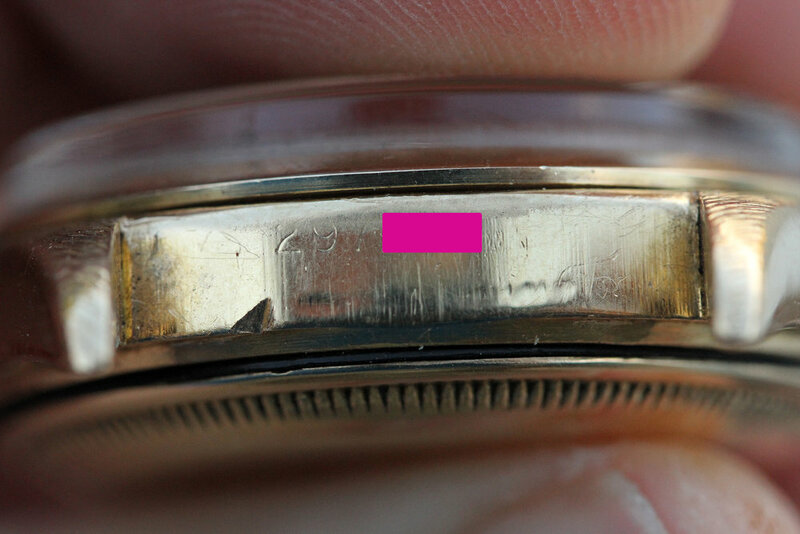 Good condition case has bark finish on lugs. 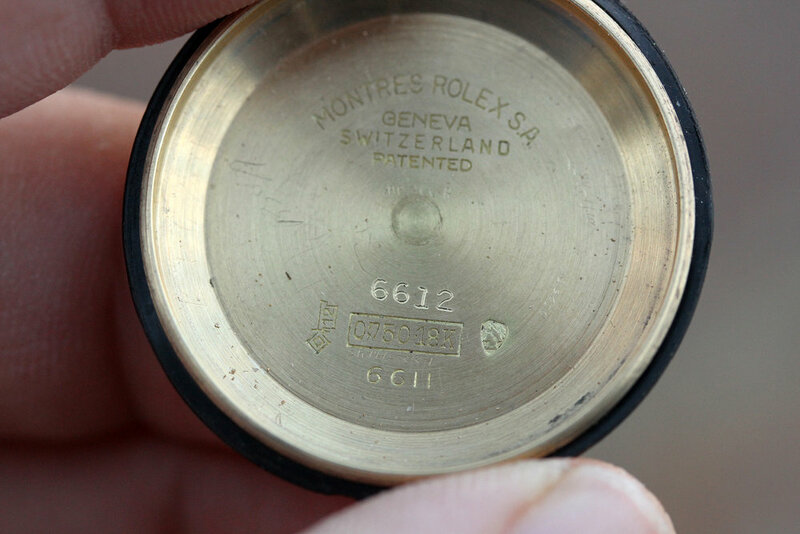 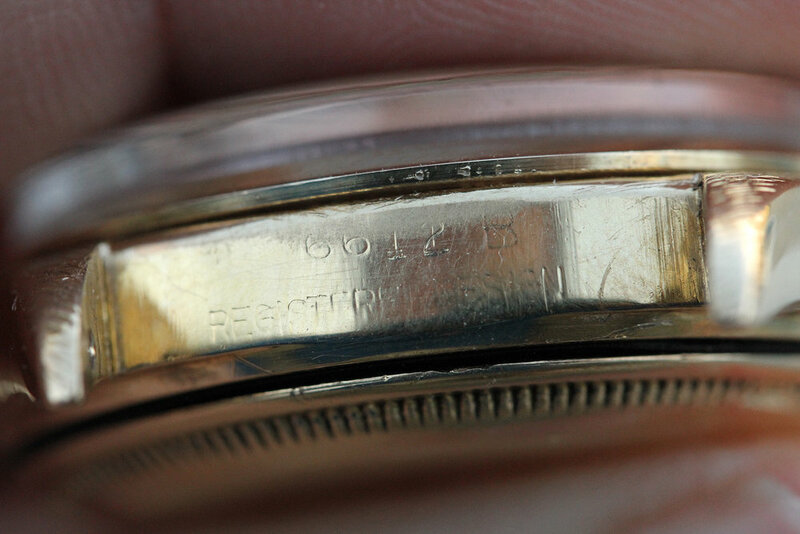 Serial and reference numbers are mostly intact and visible. 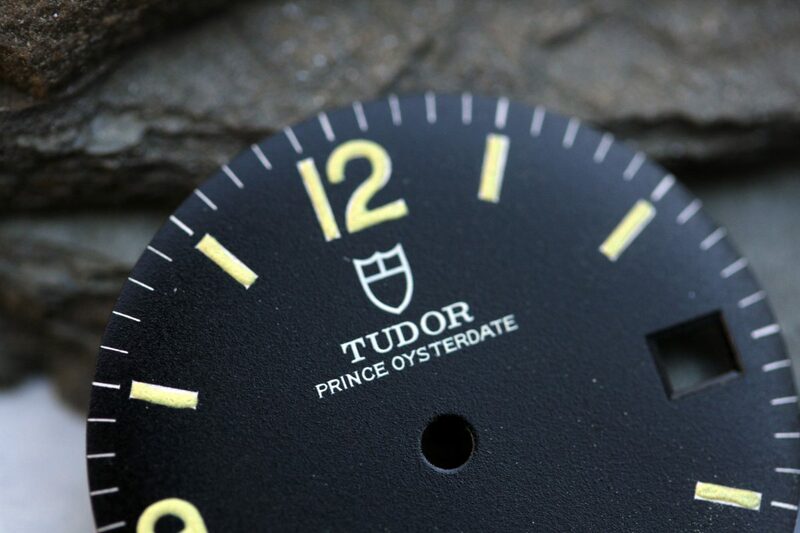 Dial is tritium pie-pan matte black with tritium hands. 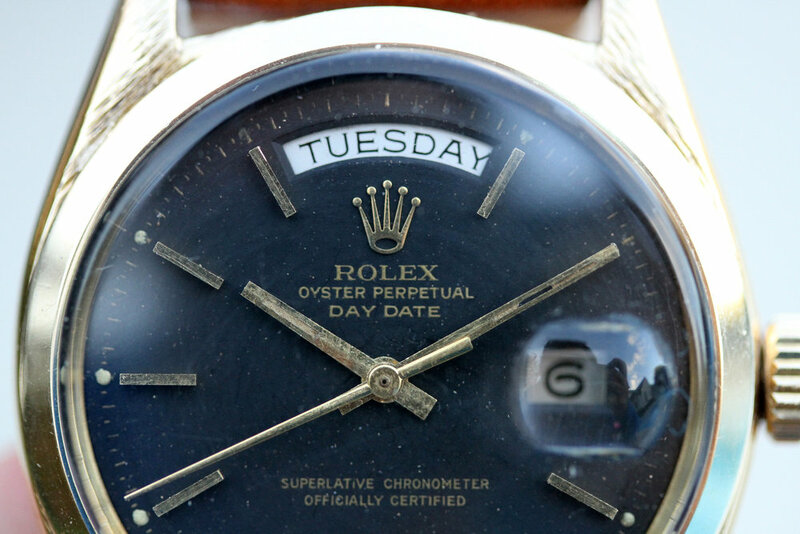 Date disk with open 6’s and 9’s. 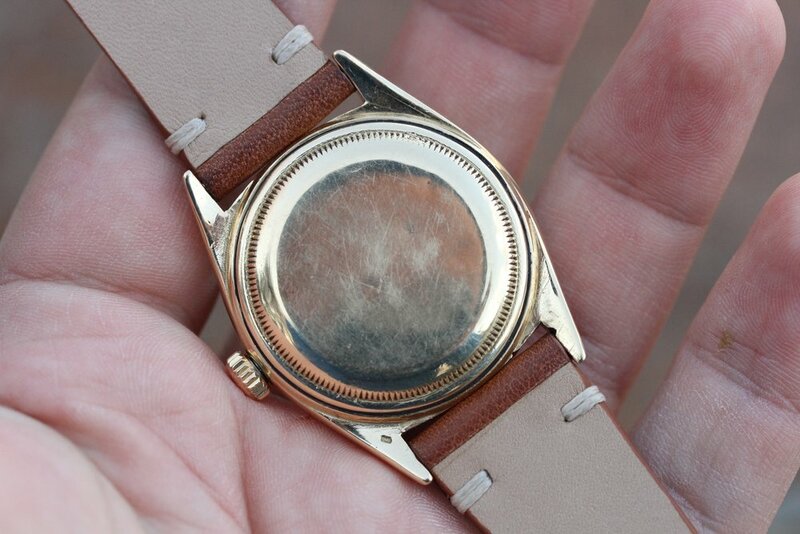 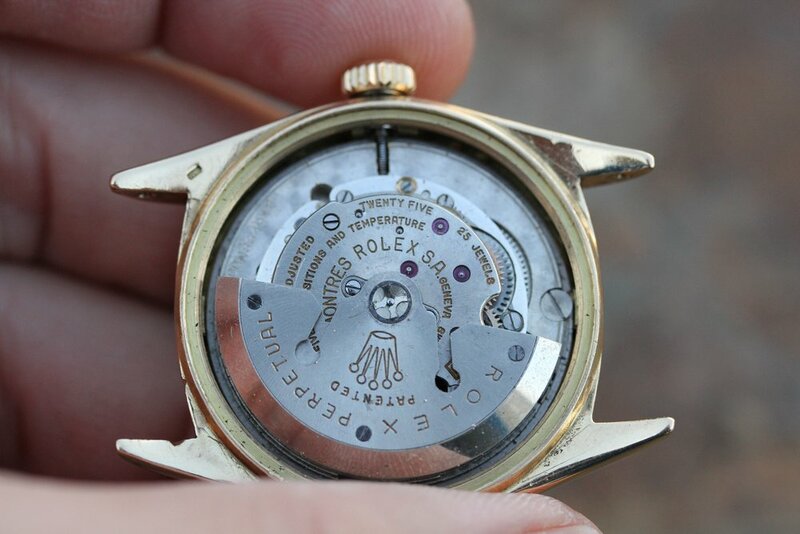 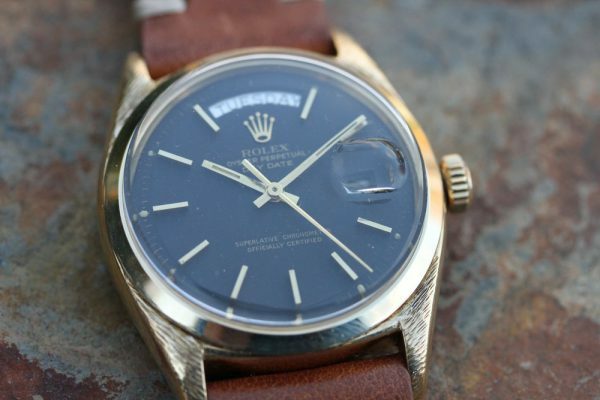 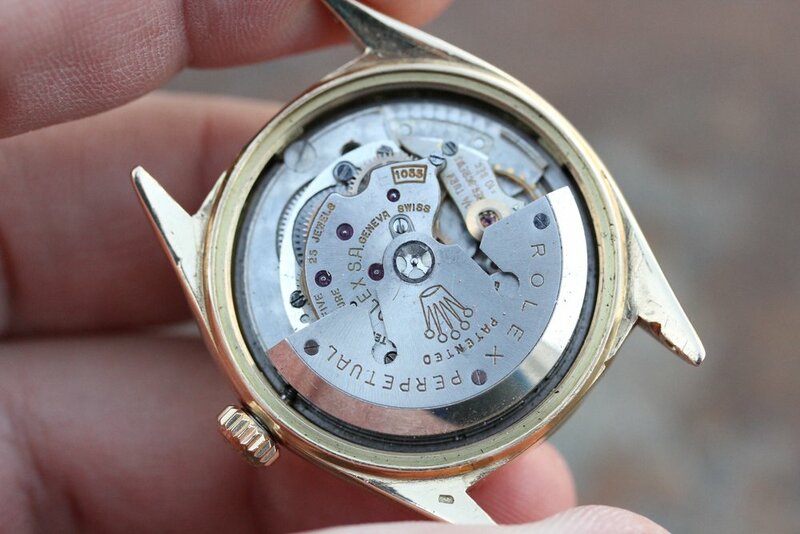 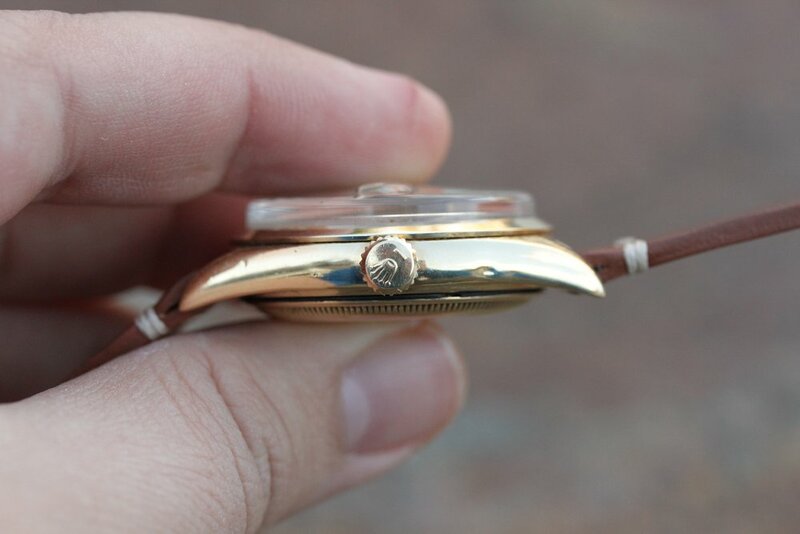 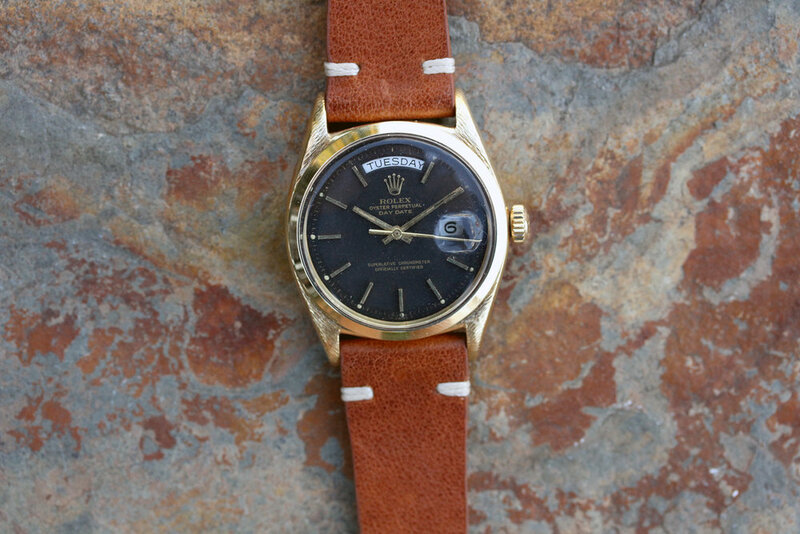 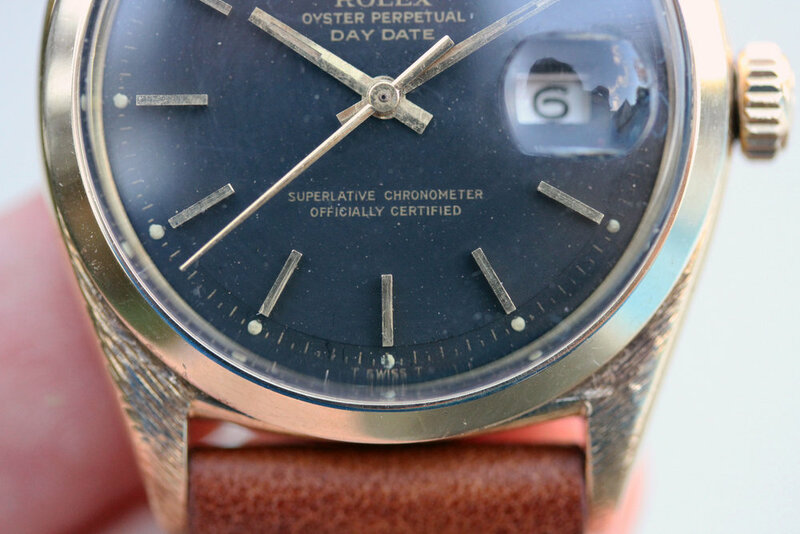 Caseback is original, double stamped 6611 and 6612 inside with 18kt gold hallmarks. 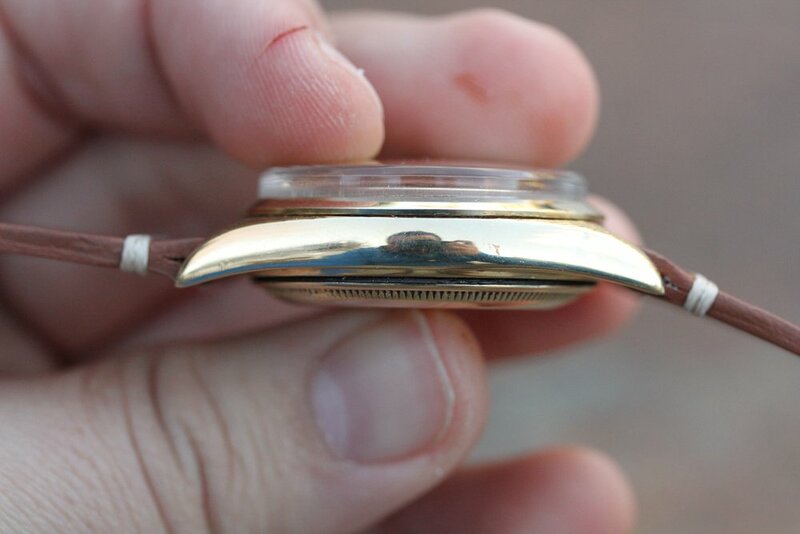 Watch runs and winds but a cleaning/service is recommended.